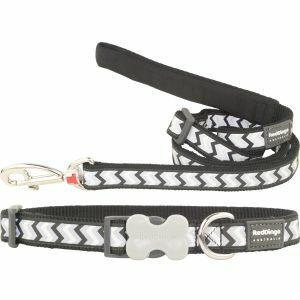 The Red Dingo Reflective Leash Ziggy Black are adjustable, practical and convenient for all dog owners. Adjustable from 4-6ft and now available in four different widths, these leads are suitable for dogs of all sizes. All Red Dingo adjustable leads feature a soft padded handle for extra comfort. These Leash's are perfectly designed to match with all Red Dingo Dog Tags, making them a perfect match!